Geo-fencing. 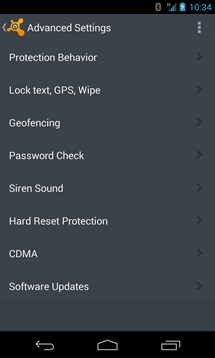 Set a custom perimeter on the fly (great if you're out in public and plan on being in the same location for an extended period), which will cause an alarm to sound should your device somehow wander out of the protected area. Password Check. If the lockscreen password is entered incorrectly three times, the device can be automatically marked as lost (which will trigger all the selected "lost" actions), and/or take a picture of the would-be perpetrator. avast! Backup. 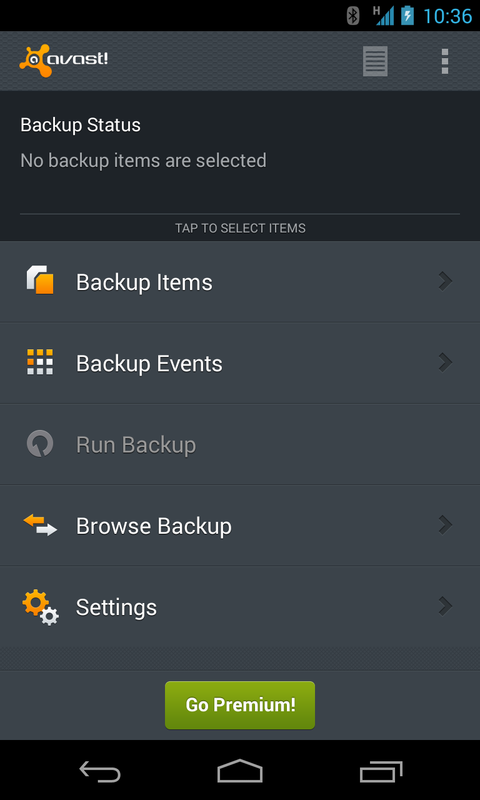 Technically, Backup isn't part of avast! 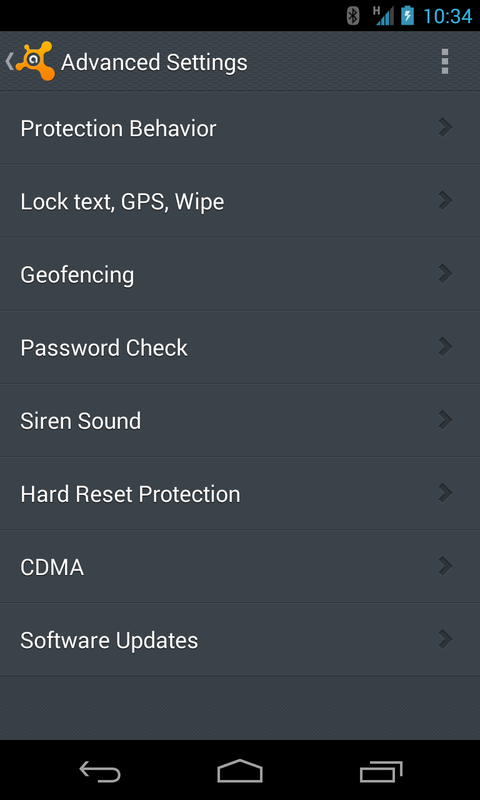 Mobile Security (it's a separate app), but it does offer additional features for Premium users. 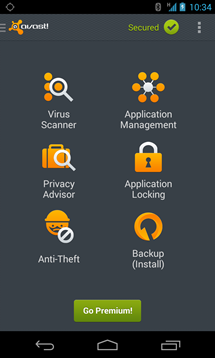 The free version of the app will back up your text messages, contacts, and photos, but the increased functionality added in the Premium version will also keep your apps, music files, videos, and game scores safely stored in your Avast account and Google Drive. That's good lookin' out. Remote Identification: Take picture of the thief when he/she tries to unlock device (use front or back camera, with face recognition). Record audio, with voice recognition. 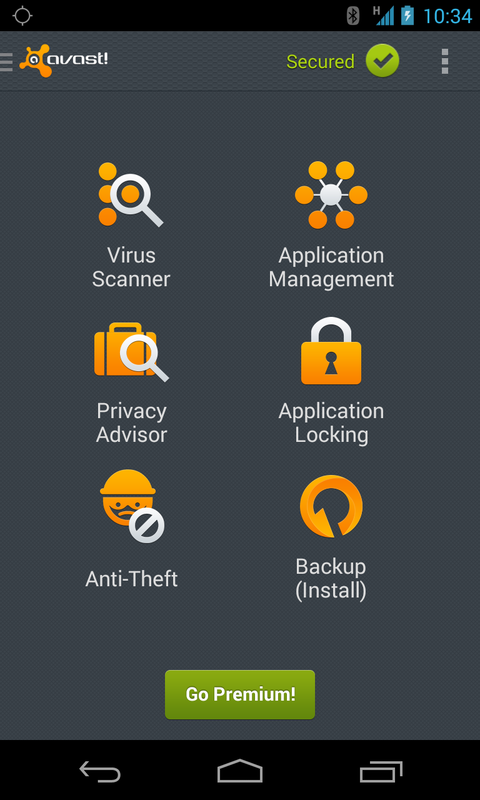 Of course, all the free features that made avast! so good in the first place are still intact: Anti-Theft (with root support), App Manager, Privacy Advisor, and of course, Virus Scanning. 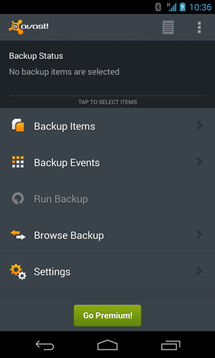 As already mentioned, the free version of Backup also keeps some of your most sensitive data stored safely in the cloud. So, how do you get in on this premium action? It's easy, actually – just install Mobile Security and Backup, hit the "Go Premium" button and away you go. Head below to grab both apps. Like last time, if you fail to answer the question with a reasonable response, you will be disqualified. In other words, you will not get a free Nexus for saying "Ohh, give me one! !11" or "Pick me plz!!222." You've been warned! 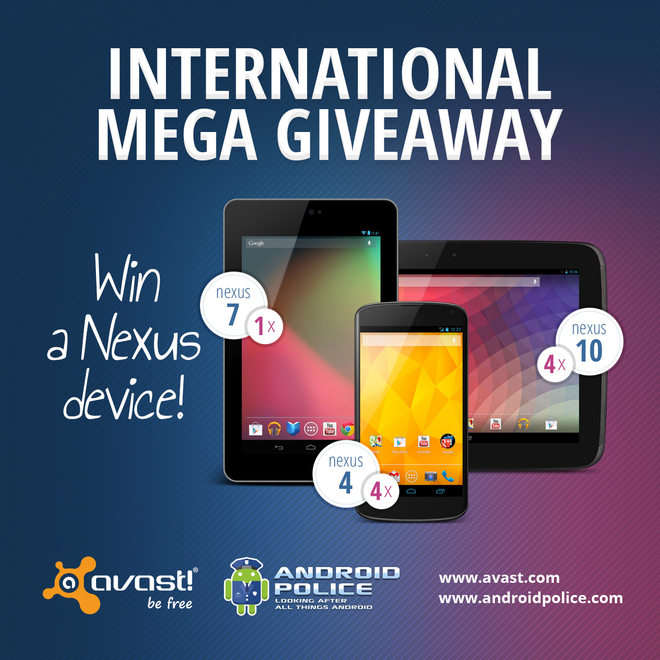 This giveaway is international (excludes North Korea, Sudan, Iran, or anywhere else with a U.S. embargo). The giveaway begins now and will run for one week, ending on August 31st at 12:00 AM (midnight) PST. Good luck!